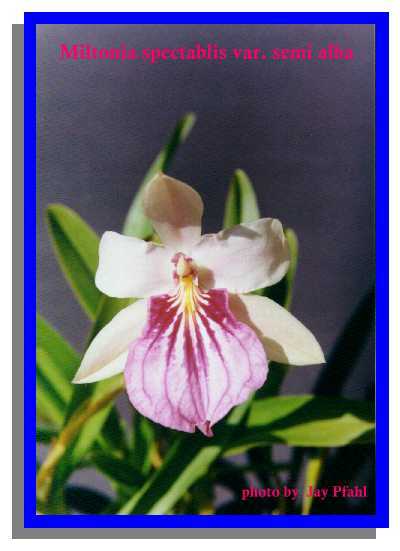 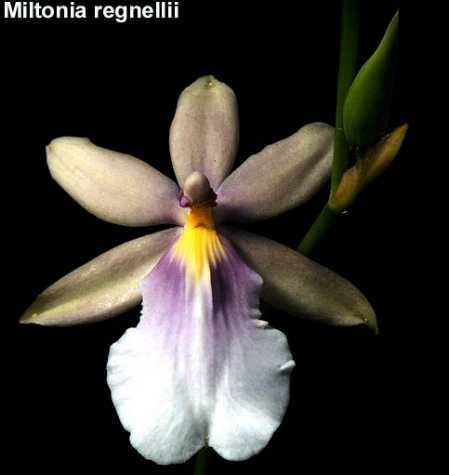 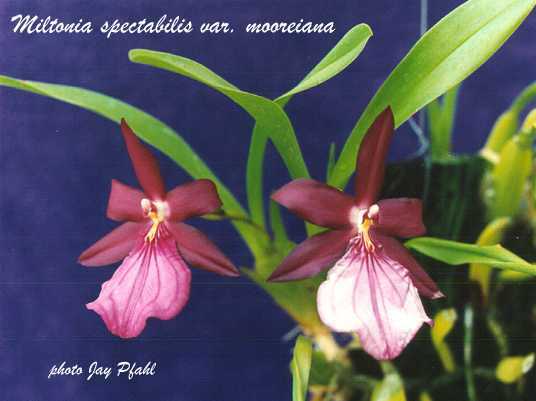 Miltonia Page SUBFAMILY Epidendroideae, TRIBE Oncidieae The genus Miltonia is made up of 10 species found mostly in Brazil and Paraguay. 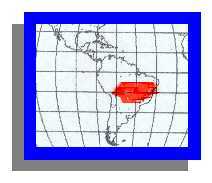 The species list below was composed with information from the following sources. 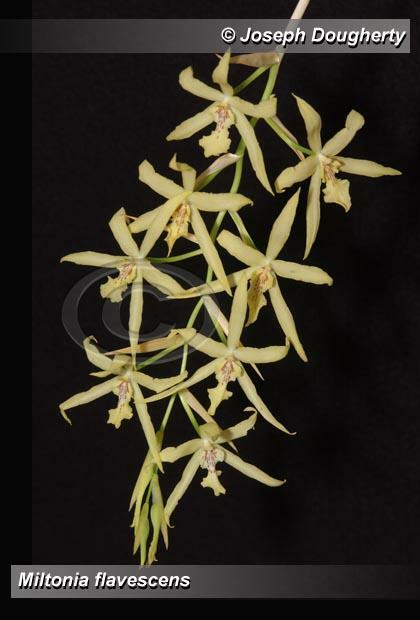 This species is also known as Oncidium fuscatum. 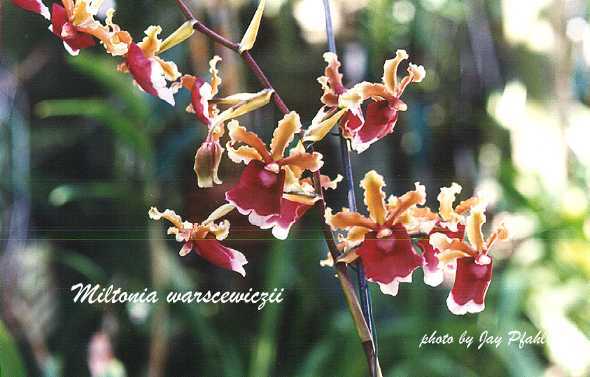 From South America, blooms in spring, used in many breeding lines.